Video > Eckhart, Could you elaborate on ego versus healthy self-esteem? Eckhart describes how life can certainly be more pleasant with a good measure of self-esteem, but ultimately freedom comes by transcending form entirely. 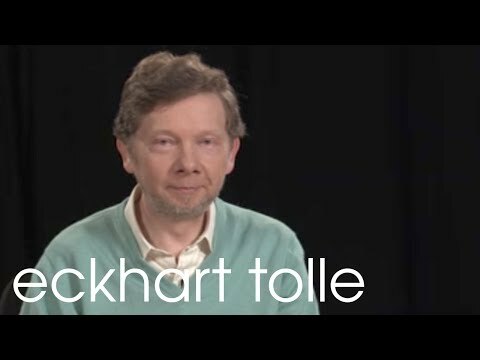 Video > Eckhart Tolle answers the question "Do you cry? Is it normal to cry?" 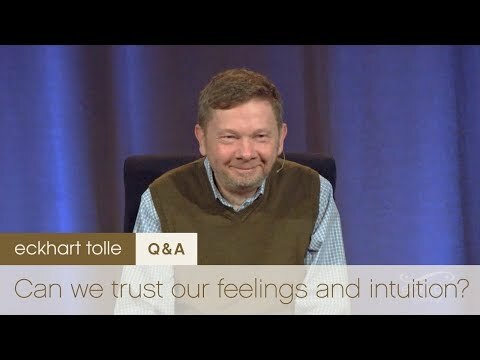 In this warm-hearted exchange, Eckhart talks about joyful tears, dysfunctional crying, and a memorable drive along the Pacific Coast Highway. An excerpt from the featured talk in the November 2009 Issue of Eckhart Tolle TV: "Portals to Now." Kim Eng leads us in a relaxing ten-minute breathing practice that we can use to deepen our awareness of our breath and remain present. 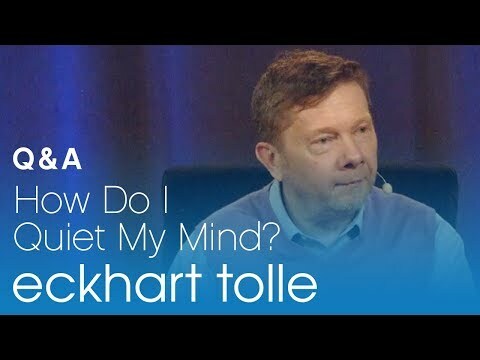 Video > Eckhart Tolle: Are Thoughts The Source of Ego? Is the ego the source of our thoughts or are our thoughts generated elsewhere and passed through the ego? The ego arises out of the state of identification with thought. The moment of freedom arises when we realize that we are not our thoughts—rather, we are the awareness. 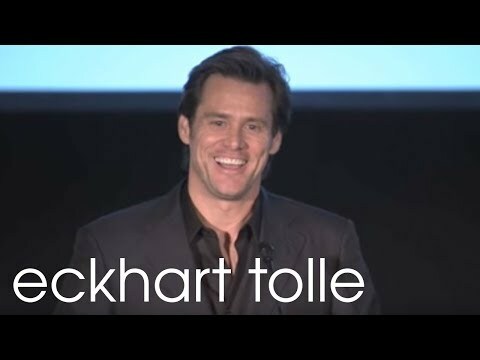 Jim Carrey offers a hopeful and positive perspective on the world, the future of media, the emergence of transformational media, and then .. gives an affectionate heartfelt introduction for Eckhart Tolle whom he is "honored to call a friend." Recorded at the 2009 Inaugural GATE Event (Global Alliance for Transformational Entertainment) Video was Shot and Produced by Eckhart Tolle TV. Many of us feel disconnected from the source of Being. Eckhart discusses how nature can help us return to the fullness of presence and peace. 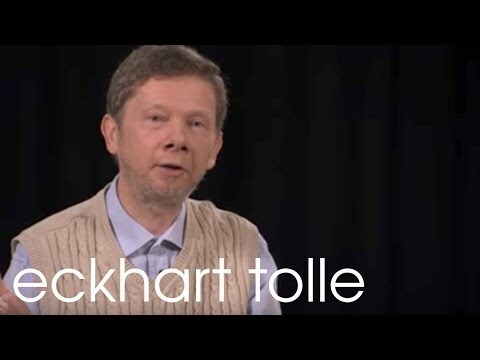 Eckhart Tolle reminds us that in every moment there is an opportunity to Awaken. An excerpt from the featured talk in the November 2009 Issue of Eckhart Tolle TV: "Portals to Now." 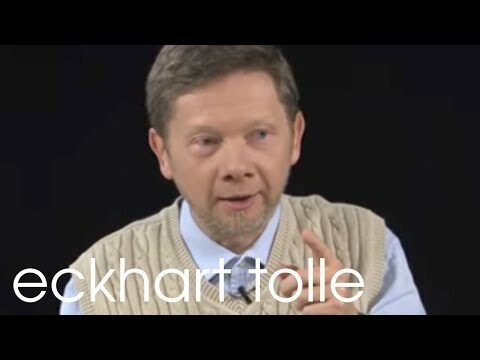 Video > Eckhart Tolle: "Television"
Eckhart discusses how we use mainstream television and media as an escape from the 'problems' of our mind. An excerpt from the featured talk in the November 2009 Issue of Eckhart Tolle TV: "Portals to Now."